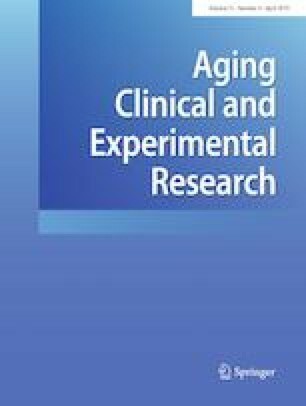 A performance improved project identified elderly trauma patients to have a disproportionate incidence of complications. The purpose of this study was to assess the efficacy of a small specialty care unit to decrease complications in patients who no longer warrant care in an intensive care unit (ICU). A surgical post-acute treatment unit (SPA) was developed with focused attention to cognition, nutrition, respiration, and mobilization needs of patients who no longer had physiologic need for an intensive care unit environment, but were still in need of increased attention at the bedside. While ICU and hospital lengths of stay were unchanged, patients placed in the SPA experienced less complications and required less unplanned ICU re-admissions. Geriatric patients, especially the elderly, are not simply old adults. They have unique needs as a consequence of the aging process, which can be encompassed by four pillars of intercession: cognition, nutrition, respiration, and mobilization. By adapting a physical environment supported by bedside attention to address the interwoven needs of geriatric and elderly patients who no longer care in an ICU, complications and unplanned return admissions to the ICU can be decreased. JD: Study concept and design; acquisition of data; analysis and interpretation of data; drafting of manuscript; critical revision of manuscript. LDGA: Study concept and design; acquisition of data; analysis and interpretation of data; critical revision of manuscript. SCS: Study concept and design; critical revision of manuscript. RW: Acquisition of data; analysis and interpretation of data, drafting of manuscript. NG: Acquisition of data; analysis and interpretation of data, drafting of manuscript. SM: Acquisition of data; analysis and interpretation of data, drafting of manuscript. SC: Study concept and design; critical revision of manuscript. KM: Study concept and design; critical revision of manuscript. Dr. DiGiacomo declares that he has no conflict of interests. Dr. Angus declares the he has no conflict of interests. Ms. Cardozo-Stolberg declares that she has no conflict of interests. Dr. Wallace declares that she has no conflict of interests. Mr. Gerber declares that he has no conflict of interests. Dr. Munnangi declares that she has no conflict of interests. Ms. Charley declares that she has no conflict of interests. Ms. McGlynn declares that she has no conflict of interests. This project was IRB approved as exempt. This article represents a retrospective review, approved by the Institutional Review Board of Nassau University Medical Center, East Meadow, New York. Informed consent was not required as this project was a retrospective review. De-identified data and material can be provided upon request.